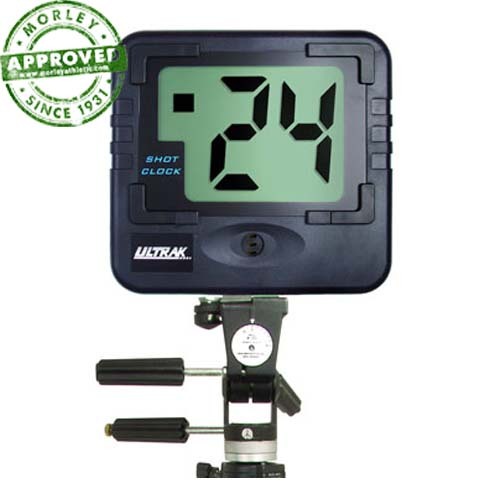 Each Ultrak T-200 Shot Clock includes two shot clock displays and one control console. Each shot clock display, which can be wall mounted or used with a standard tripod, is 10 inches wide by 9 1/2 tall with large 4 inch digits. Time can be counted down from up to 60 seconds and includes a loud beep at zero. The shot clocks are controlled by a two-button operation console that connects to shot clock displays via standard telephone cord for easy user modification.